Stellar iPhone Data Recovery Software - recover deleted message, contacts, photos from iphone/ipad. 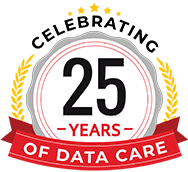 Stellar Data Recovery for iPhone is a professional iOS data recovery software that allows to recover lost or deleted data. The iPhone recovery software can recover lost text messages, contact list, notes, call history, reminders, calendars, etc. The software supports iPhone® XS, XS Max, XR, X, 8 Plus, 8, 7 Plus, 7, 7s, 6s, 6 Plus, 6, 5s, 5c, 5, 4s and 4. Whether the data loss on your iPhone is due to system crash, iOS upgrade or jailbreak. This iPhone recovery software is the ideal solution to recover all you lost data. This iPhone data recovery tool can help you recover lost photos, videos, contacts, messages, and even safari bookmarks. It helps you recover data from all iOS Devices. Forgot password on your iOS devices? This iPhone recovery software can help you regain the access. Can recover data from all iOS devices- iPhone, iPad. You can also scan and recover data from encrypted iOS device & iTunes backup. System crash due to iOS upgrade; the recovery software can help regain data. The software helps recover the data from the situations like jailbreak or device stuck. 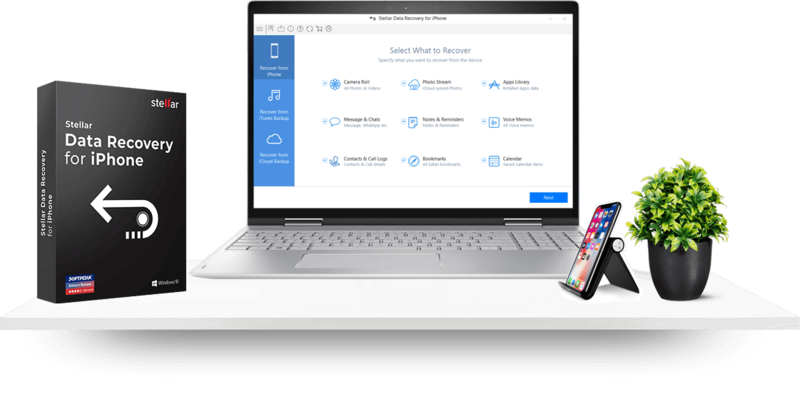 Our software can recover lost data from damaged iPhone/iPad or iCloud/iTunes - provided backup is available. iPhone recovery tool is a secure and easy-to-use software. The iPhone data recovery software provides the option to perform a deep scan for enhanced recovery. It can recover data iTunes & iCloud efficiently. It extracts data from an encrypted iOS device / iTunes backup. The iPhone data recovery software has enhanced support for iOS 12.0.1 and iTunes 12.7.x. It supports multiple iOS device connections and recoveries. 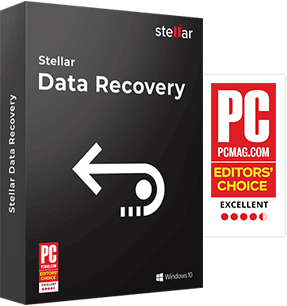 Stellar iPhone data recovery software is available for both Windows & Mac operating systems. * Free download allows you to scan & preview files from iPhone, iCloud and iTunes backup files. The iPhone recovery software is quite intuitive and easy to use for a novice as well as advanced user. It uses efficient algorithms to perform a thorough scan of device memory to recover as much data as possible. It's not us, read what top tech magazines have to say about our software. "Make sure you download Stellar Phoenix Data Recovery for iPhone so you can have it on hand for the worst case scenario. " "Easy to use whether you're a tech geek or not. You start up the software and then choose which type of recovery would like to attempt." Recover iPhone data with ease! The iPhone Recovery software comes with 1 and 2 years subscriptions. It offers unlimited data recovery from up to 50 iPhonesi. Recovers deleted Photos, Videos, Contacts, Messages etc. Support Mac OS X 10.8 and above. "My success story with your software: I backed up my iPhone to iCloud and wiped it. After selling my iPhone I mistakenly deleted some of its important backup data from iCloud account too. I couldn't curse myself for being so careless. I was about to avail a costly data recovery service until I recognize that your application can bring back my hope. Luckily, it did brought back my files which I lost after iCloud deletion." I lost iPhone messages and I wanted to recover them. Well, this was the only software that helped me recover not just the messages but other data including contacts and call history.